Many gifted people struggle with shame related to the ways they don't fit into normal expectations, or the ways their "gifts" are a "bother" to others around them. 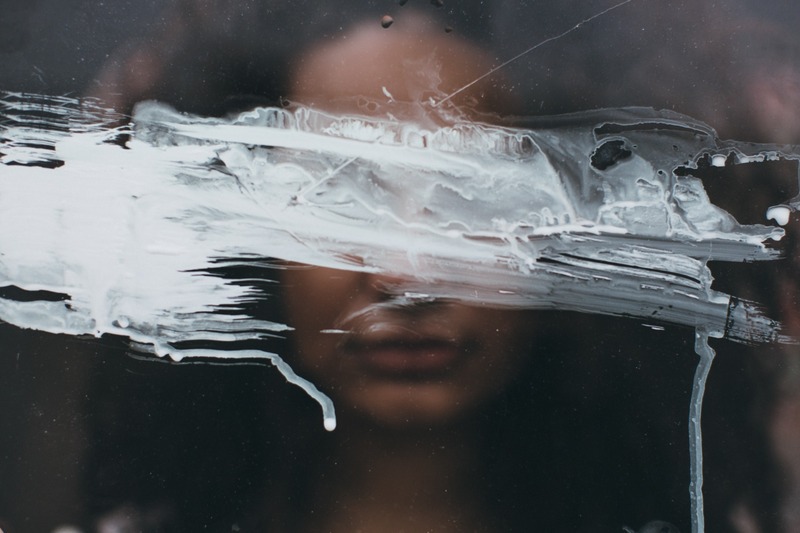 In this very personal story, InterGifted founder Jennifer Harvey Sallin shares how unidentified "gifted shame" impacted her own life and how she worked her way toward self-acceptance as a gifted adult, and how you can work to overcome your own "gifted shame". I felt ashamed for being gifted almost my entire life – though I didn’t know for most of it that I was gifted. What I knew was that I was “weird,” “quirky,” “intense,” and “complicated.” I knew as a kid that I was my most happy when intently studying the shapes of pebbles at the beach or observing the stars in the night sky for hours, seeing patterns in them and wondering how they (the biggest of the big and the smallest of the small) were related to each other. Or as a teen when reading books about other worlds I didn’t know of and collecting stamps and coins from foreign lands, wondering what the people who lived there looked like, talked like, thought, and felt; and how that related with my life, what I looked like, talked like, thought, and felt. Or as a young adult abandoning myself to Chopin at the piano, or composing music, or dreaming about how I could change the world (if only people would take my big ideas seriously, and not tell me how unrealistic I was!). Or, when the very rare case presented itself, losing myself in a profound conversation about the meaning of life, or the nature of existence, or the nature of human behavior. The other kids in school thought I was a “goodie two shoes” and the teachers relied on me to help the other students. I felt crazy because I was able to learn without learning, and aside from a few exceptions, didn’t understand my classmates or how their minds worked at all. My parents thought I was impertinent with my questions about the big and the small. Peers thought I was too driven, restless, and had too high of standards. And I, in essence, became ashamed of myself: I couldn’t seem to find the dimension that others lived in, and for them, my dimension seemed heretical, stupid, pedantic, and offensive. Very early on, I learned to keep most of the dimension I lived in a secret. I didn’t share my love for pebbles or stars with the other kids, because they laughed at me and bullied me. I tried to help the other students in very quiet ways, so they wouldn’t hate me for my smarts. I tried to keep my questions to myself about the way the world worked and the nature of being. And socially, I tried to slow down, settle for simplicity, and not ask too much of others. I put a straitjacket around me which kept inside my curiosity and passion for learning and thinking, and - over time - my frustration and rage at the way things were. It was a straitjacket of shame - shame for being me, shame for how my mind worked, shame that I couldn’t fit in without altering my natural self considerably. It wasn’t just shame about things I loved that I tried to hide (my unusual desires, my uncommon passions); it was shame about things I was good at: learning quickly, seeing the essence of problems in a quick glance, “sensing” or “knowing” things intuitively, having deep empathy for others, seeing logical flaws in arguments, and solving complex problems (I learned – especially in my early years as a psychologist – that people don’t often like their problems solved; they prefer to keep them, as most of us are intimately identified with our problems. And so, solving people’s problems actually created bigger problems: people got mad at me for solving – or trying to solve – them). Okay, so I was passionate and could work quickly, and there was a lot of energy powering all of that (mental, emotional, physical, existential, creative energy). Great, you could imagine that I might do amazing things in the world! The trouble was: with my straitjacket of shame on, all of that energy – instead of reaching out to the world – accumulated and imploded on me. The things that made me me actually worked to destroy me, as though the process catalyzing my life was at the same time catalyzing my death. Instead of valuing my differences, I was humiliated by them, and humiliated by my inability to handle all the intensity that was eternally imploding on the inside. If I was so smart, I asked myself often back then, why the hell was I so messed up and unable to handle myself? By my twenties, I really felt I must be crazy. The years of living in the straitjacket of shame had broken me to the point that I thought: either I take off the jacket and try to live as the real me, or I end this ridiculous farce of trying to be someone other than me once and for all (yes, end it by ending my life). I contemplated the complexity of the situation and weighed my options a long time; and even though the easy way out seemed to be to end my life and just not have to deal with the pain of it all anymore, my ever-present sense of injustice wouldn’t let me take the easy route. It argued, other people in my life – the ones who didn’t seem to live in my dimension – got to choose how they lived their lives. They got to love what they loved without having to apologize to me for it, and got to talk as they talked, without having to avoid saying certain things to avoid offending me. They got to have their jobs, and kids, and what seemed to me, their "predictable" lives, and they got to be proud of it. Why was I – even if I was different than them (though I didn’t know why) – not allowed the same freedom of choice? Why did I feel I always had to apologize for or hide what I truly loved – complicated theories, profound conversations, and impersonal (non-emotional) analyses of situations? Or force myself to do what I truly hated – make small talk and listen to people’s never-ending and predictable emotional dramas, or have a “normal job”? Why did I feel I had to explain myself for my choice not to settle down into a routine life? Why did I always feel I had to “dumb myself down” or “shift down gears” in order to get attention or not offend people? Why was it that others got kudos for their predictability, whereas I was bullied and judged for my seeming unpredictability? Why couldn’t I rejoice in my apparently unusual way of wanting to be in the world? Why was I always hiding it? This was my commitment to myself, but honestly, I didn’t really know how to do that because, after a life of feeling I didn’t deserve to be me, my habits of behavior of hiding and not knowing myself were pretty entrenched. I struggled to differentiate between what I had become because it was what made me the least bullied by others, and what I had become because that’s what I had wanted for myself. I felt stupid, asking such basic questions in my twenties, but my commitment to the experiment was stronger than my habits, so I kept working at it. I sought out therapy, coaching, and mentoring and I read a lot of books. In all of my searching, I realized, strangely, how little I knew about myself at all, outside of the judgments I had heard from others about me. I didn’t know how my mind worked or what, if I was truly myself, I would authentically choose to do with my life. I had let others’ expectations of me and my fear of looking “stupid” hold me back and guide my life choices so often that I had lost access to my own authentic desires, needs, and hopes. In fact, I didn’t even really have access to my own fear or anger (emotions essential to positive change), as my own fears had long been replaced with others’ fears: that the world is a scary place, that if I didn’t work at a normal job, I would certainly fail, and so on. It was very challenging. I was doing things that people in healthy situations do when they are younger: testing out preferences and experimenting with desires. I was twenty-seven, and I felt like I was just getting the chance to do it for myself: I quit my job, started experimenting with life as a vagabond, living in Europe, learning languages and cultures, working in a random way, and letting go of whatever in my life I could identify clearly as being “not me”. Once again, I was “odd,” doing my life in weird order, not following any sort of normal script, and people in my life were sure to let me know how odd (and wrong) I was. But following my experimental hypothesis, I let their “feedback” (judgments, bullying, etc) roll off my shoulders, reminding myself that I was living as though I deserved to be me, and as though others owed me the freedom to be me. So, in the past, while my shame about having to learn the basics of who I was at the age of twenty-seven might have made me tie my straitjacket of shame tighter and tighter, and hide away even further on the inside, this time around, their feedback was a reminder of my radical experiment and my commitment to it. And the experiment (with a lot of work) paid off! I confirmed my hypothesis, both by finding that it was already true and by creating a life around it that confirmed its reality. It was confirmation bias, working in my favor. (If you want to learn more about my own story and how I made this change, consider listening to my recent interview with Aurora Remember Holtzman of the Embracing Intensity Podcast; you can also read about my interview with Barbara of Expatclic and what led to me creating InterGifted; and stay tuned for my memoirs about growing up gifted and my own self-discovery - currently being edited). 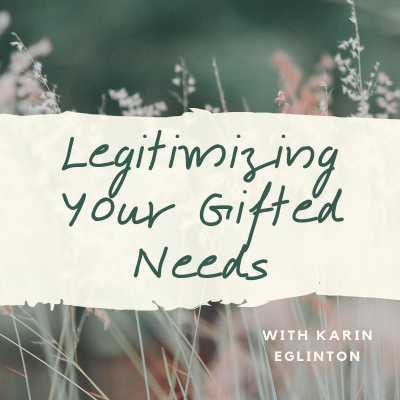 Only later, when I learned about the word “gifted,” did I really understand that my letting go of the shame of me being me was actually bigger than just my personal journey and healing. It wasn’t just me being “me”, it was also me being gifted. The mind others judged me for was a gifted mind – and when I understood that, I understood that there were many others out there in the world very similar to me, dealing with the same shame about the same issues, being judged by others for the same reasons. I wasn’t just a crazy soul alone in a world of normal souls, and so “poor me”; I was just one of a certain kind of person. 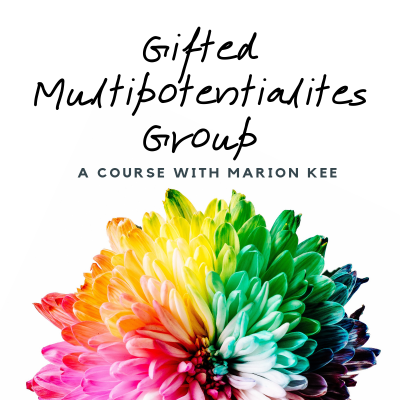 When I realized that, I learned everything I could about giftedness - what makes a gifted brain different, and how that affects people across the gifted spectrum. 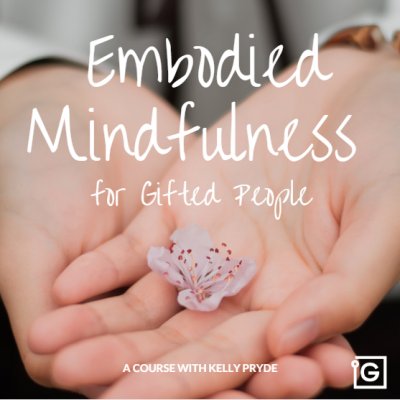 Eventually, I started advocating for gifted people, mostly through my coaching work and writing, and then, the movement grew. 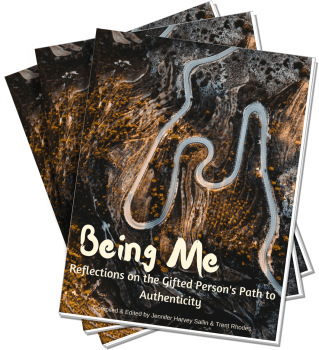 Unlike more traditional approaches to giftedness, I wasn’t advocating for better or more specialized schooling for the gifted, I was advocating for gifted people to be proud of themselves for who they are, and to get a chance to develop their authentic selves, with all their uncommon ways of being. I was advocating for gifted people to drop their shame about who they are and have access to self-development that focuses on the dimension they do live in, rather than trying to stuff them into smaller or more confining dimensions, or telling them they are too demanding because they need more. And that's the spirit that InterGifted grew out of. 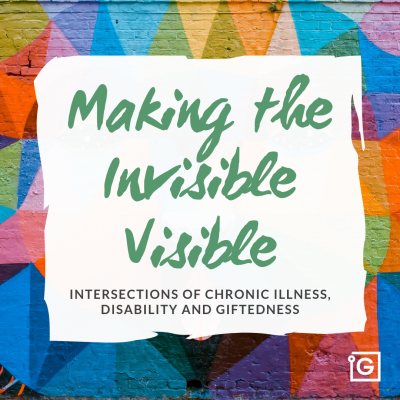 Eventually, I had let go of my shame to the point that I was ready to open myself up to a bigger audience and use the "g-word" to create a community, as well as empowering resources and support for other gifted people like me out there, who are ready to take off their own version of the straitjacket of shame, and be their full selves, no apologies. You have a right to be quirky, driven, excited about big and complex concepts, and the right to have unusual standards. You have a right to prefer deep conversations over small talk, to prefer active learning over passive entertainment, or to choose an unconventional way of living your life over choosing routine and predictability. You have a right to make authentic choices based on what feels right to you. Try the experiment of living as though you deserved to be you – uniquely you. And as though others believed that you deserved it too. 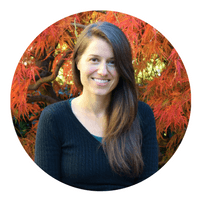 Jennifer is the founder of InterGifted and is a mentor and coach for gifted people. She specializes in mentoring and coaching highly, exceptionally and profoundly gifted adults. She also provides training and mentoring for gifted coaches and writes extensively on giftedness and self-development. You can find her articles here on IG’s blog and on her own blog at Rediscovering Yourself. She is happy to consult with you or connect you to our coaches in InterGifted’s Coaching Network. Feel free to reach out! This reminded me of my schoolyears. I was so quick in maths that my teachers, unable to stop me by asking me to solve ever more complicated problems, decided tu use me to teach others (who didn’t really appreciate….). I was 12 when I was teaching Kepler’s laws to other students in sciences class. And so on…. You speak about your “late” discoveries at the age of 27. Well, I could tell the same at age 46. The turning point for me was, as it could have been for you, the discovery of my giftedness. I think you can, as I’ve been, go for all the counseling, therapy, coaching tou want, something remains missing until you make that discovery. In many european countries, there was almost no sign of interest for the gifted until the 80’s. And I dare to say we had to wait after the year 2K for the subjet to become quite public. So I think it’s time to advocate for our “right” to be identified as soon as possible. I love this! And I’m in my forties trying to shake off expectations and flex my unused “wanting” muscles. By that scale, you’re precocious!? Thank you for writing this. It’s also how I feel. Thank you, thank you. I am 53 years old. I have just started this journey. God bless you for sharing. That is amazing. Your story really touches my heart and brings tears to my eyes. I really appreciate your courage to be yourself. I want to express my journey but it is really daunting to put it out online. I would love to share the story with a like minded friend. Finding someone with the same frequency is rare and the more gifted you are the rarer it becomes. I do appreciate not only the content but the simplicity and sincerity of your post. Please accept my heartfelt thanks and celebrate for whatever you are. Very good article, but…what if you are 48? If you are married with children and can’t just ‘drop everything and run off to live life as you want?’ What do you do then? Any advice? My experience is that there is room to move wherever you are at in your life. Your moves might be different than the moves of someone who is 27 and can run off to start a new life, but your moves are possible. Maybe it’s about being more real with your partner or your kids, or reducing people pleasing tendencies, or getting support for yourself from a coach or friend, being honest about your feelings and your inner life… Any step, big or small, is a step, and I think it only makes sense to honor where you’re at by working with it in a self-compassionate way. The process, wherever one is at, is about honoring the authentic self. I hope that helps!